NYC Vegetarian Food Festival 2014 + I’M BACK! Late post but better late than never! Sorry for the long and sudden hiatus but I am happy to be back! 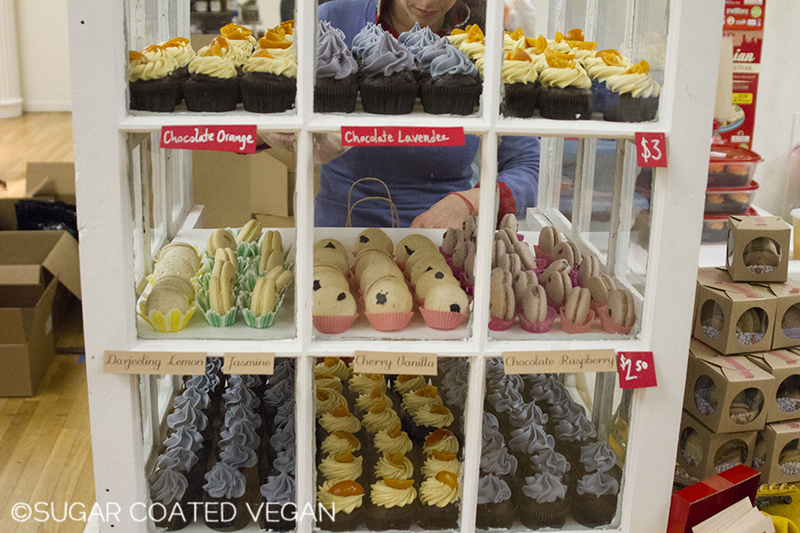 The NYC Vegetarian Food Festival 2014 was a blast! As always, a ton of fun to check out new foods and try yummy samples! The second I heard Sweet Maresa’s was going to be there was so excited. I am a HUGE French Macaron fan and to see that there were going to be vegan ones there, it was my first stop and I bought far, far too many! They are delectable and amazing and everything you can possibly imagine and more! I tried all the flavors that were available and Cherry Vanilla was my favorite! 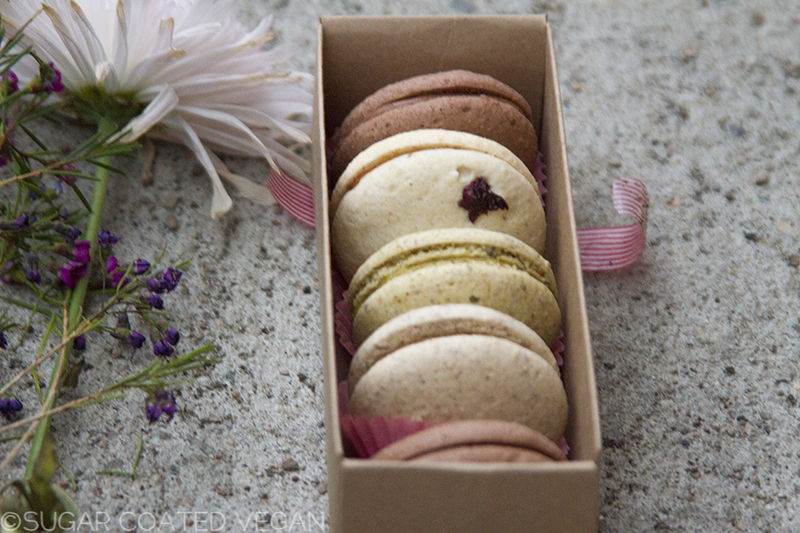 Although there were some textural issues, I didn’t mind because hello vegan + french macarons! Click read more for more festival highlights! 4th of July Nail Love with Priti NYC! Vegan, Cruelty and Carcinogen Free nail polish from Priti NYC is my new favorite way to have my nails looking gorgeous without all of those gross chemicals! Priti NYC is quickly becoming a leader for eco friendly and SAFE nail polishes which are child and mom-to-be friendly! 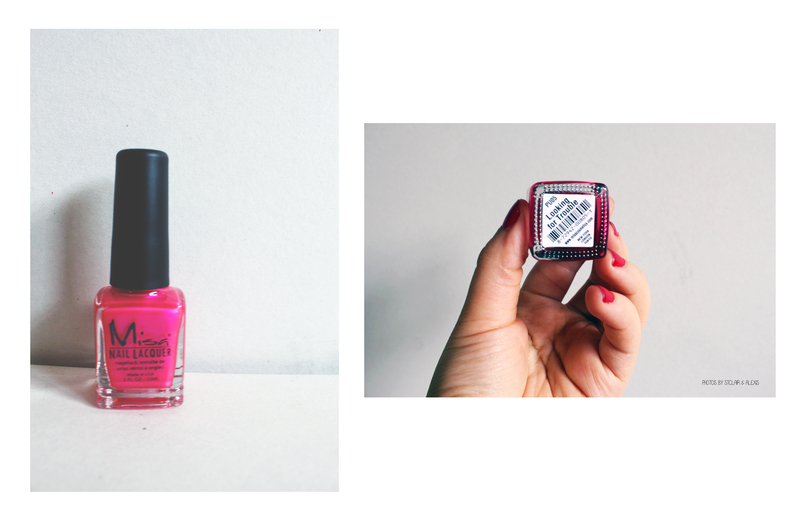 How awesome is it to find nail polish that is non-toxic?! Since I’m currently transitioning to a chemical free lifestyle, I find it hard to find nail polishes that are both non-toxic and have good color pigment and texture but Priti NYC is a perfect addition to your nail polish collection! I am loving all of the different color combos they have especially the summer colors! They have this awesome soy based nail polish remover which is also non carcinogenic and free of any harsh chemicals for your nails and skin. The Red, White and Beautiful collection is a classic color combo that is perfect when you’re feeling a little patriotic especially with the upcoming 4th of July holiday! The colors are very pigmented and for the red and blue, there is no need for a second coat unless you want a deeper and richer color. I will have to admit that the white is not my favorite — only because the color tends to be inconsistent and doesn’t go on as cleanly as the rest of the kit. I wouldn’t judge it completely though because I am no nail guru. I’m sure there are some tips and tricks that I don’t know about putting nail polish on especially because my motto is lather it on and all the messed up bits will come off in the shower haha. 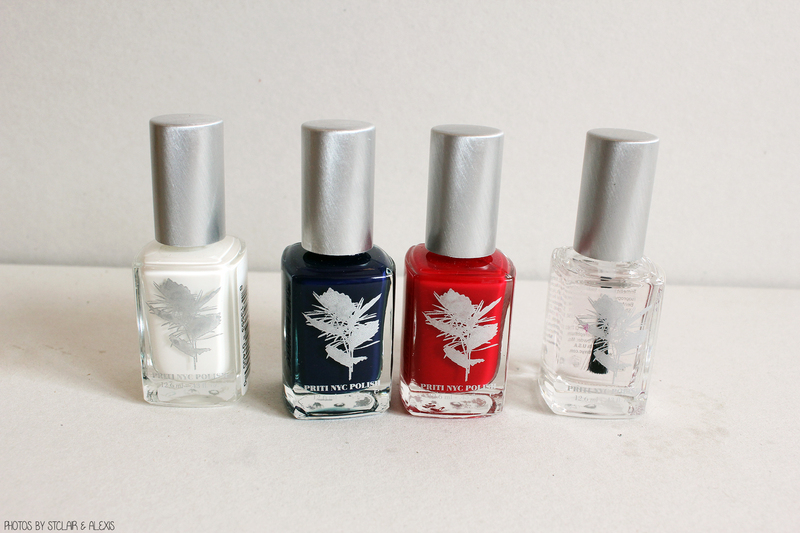 Want high quality, vegan and non-toxic nail polish? Priti NYC is PERFECT for you! I recommend you check them out now, now , now!! May Petit Vour Review and June Vegan Presence Review! I am loving the trend of vegan subscription boxes lately and I was so happy to get to review the Petit Vour and Vegan Presence boxes! They are both FABULOUS and you should definitely be checking them out right about ….NOW!! I am BEYOND late on posting my May Petit Vour review but better late than never! I love, love, loved this box! It has so many cool elements and I WORSHIP the Odacite skin care that I got to try because of it! 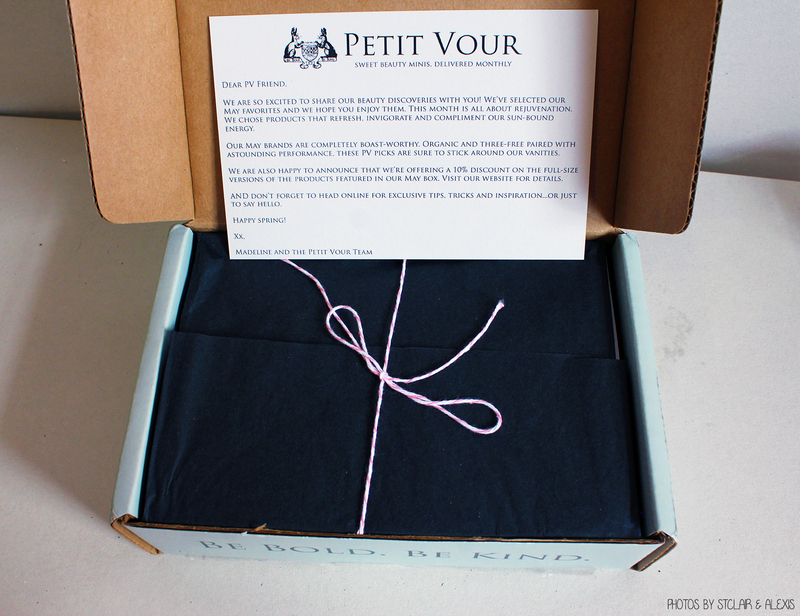 Just to give you a little overview of what Petit Vour is – they are a monthly subscription box that sends you vegan and cruelty free beauty product minis each month for only $15 and free shipping! How awesome is that price?! 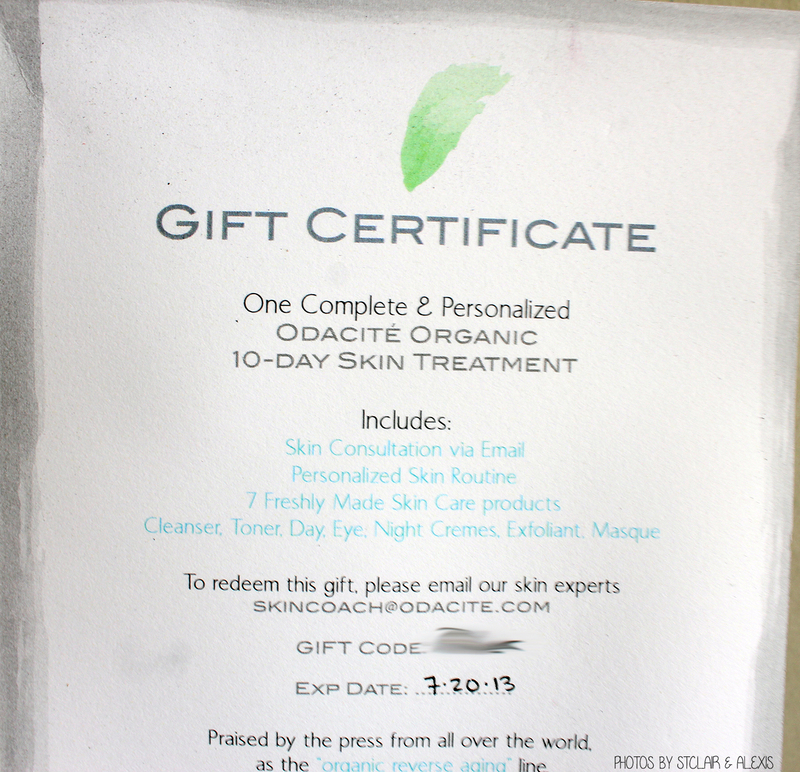 I seriously adored the Odacite skin care treatment! The consultation was very descriptive and you answered several questions related to your skin and lifestyle and they sent you this kit with everything from day cream and eye cream to jojoba exfoliate! This treatment changed the texture of my skin COMPLETELY and every product was amazing! I miss it! 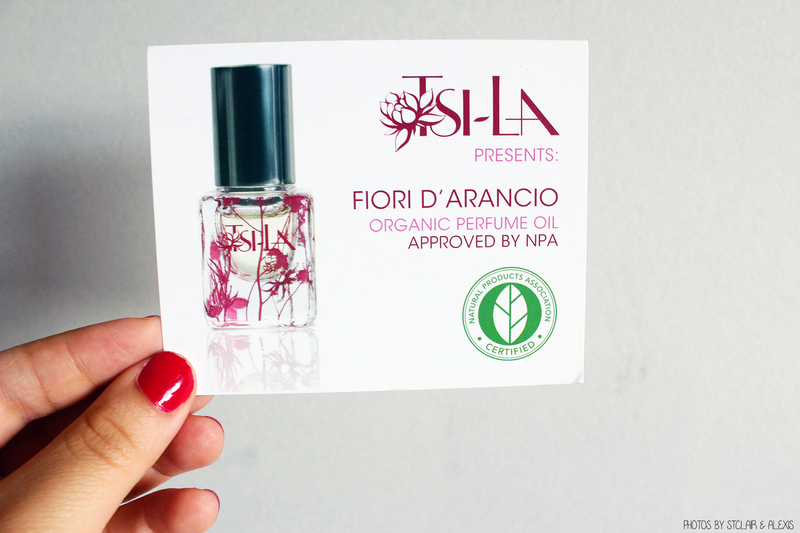 I didn’t get to use the perfume oil as much but I was thankful to be introduced to a vegan perfume company! One of the greatest things about the subscription boxes is their ability to introduce you to all of these amazing companies you had no idea existed! The Acure shampoo and conditioner —- just OH MY GOD! The smell is just AH-MAZING!!! If you love marzipan, you are going to LOVE how this smells! I love how this makes my hair feel as well and if it smells like marzipan all day – I will use it forever and ever! I have curly hair that tends to be on the frizzy side so whatever product there is that is formulated to help calm it, I love to try and I have to say my hair came out pretty damn awesome after using this stuff! Try it out now!! I have to say, I HATE THE TASTE OF SPIRULINA so I didn’t love the Go Raw bar but I respect the benefits of it and it was a nice little treat within the box! I am always looking for nail polish brands that are vegan and formulated without “the big three” so I was ecstatic to try this out and I loved the fact that it was a full size bottle! I do have to say that you’re going to be putting on at least a couple of coats to get a nice finish. This is a pretty see through color but when it goes on right, the color is so pretttty! 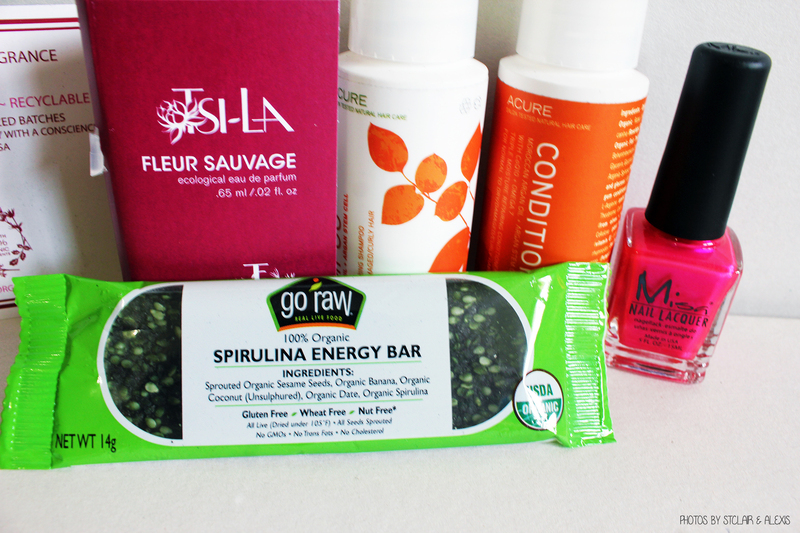 All in all, I loved the Petit Vour box and if you haven’t tried it or you are looking for a vegan beauty box to try – check it out now! Now, onto the Vegan Presence box! I was so stoked to get to review AMAZING cookies/treats from OM NOM NOM Cookies, Sweet by Jana, Dauphin Bakery and Black+Blanco! These people are cookie magicians or something crazy cool like that. I swear you have tasted little bits of heaven each time you take a bite of these luxurious (yes, I am using luxurious) cookies! The best part is that they make GLUTEN FREE varieties too so really how amazing is that?! 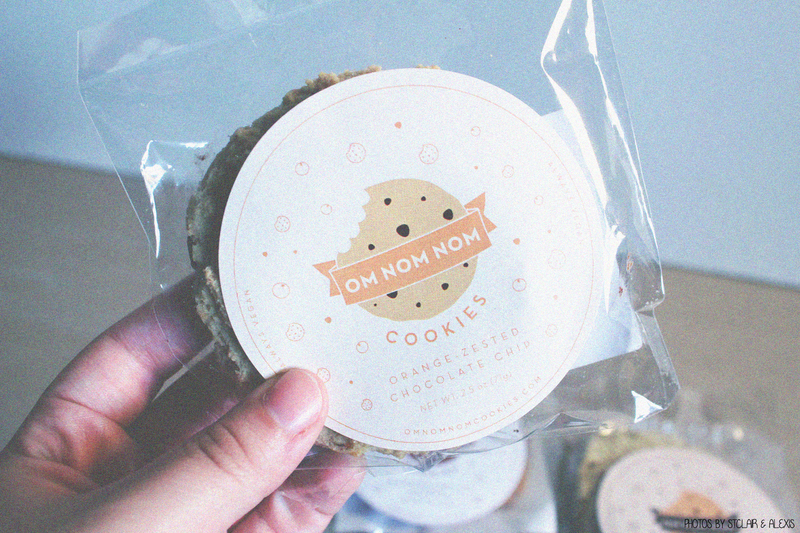 Woah, amazing is going to be so overused in this post but again these cookies are AMAZING! I am so in love with them and if you haven’t tried them yet – I plead with you to place your orders now to pick up these tasty treats! My absolute favorite from OM NOM NOM Cookies is the orange zested chocolate chip cookie of scrumdiddlyumptious, crazy fantastic, totally delicious, awesomness! Each bite is like an explosion of yummy orange and chocolate and I love the fact that these cookies are so crunchy on the outside yet have that moist cookie interior we’re always searching for. I have to say a really good cookie, beyond the flavor, HAS TO HAVE that crunch when you bite into it or it can’t be deemed most amazing cookie ever. 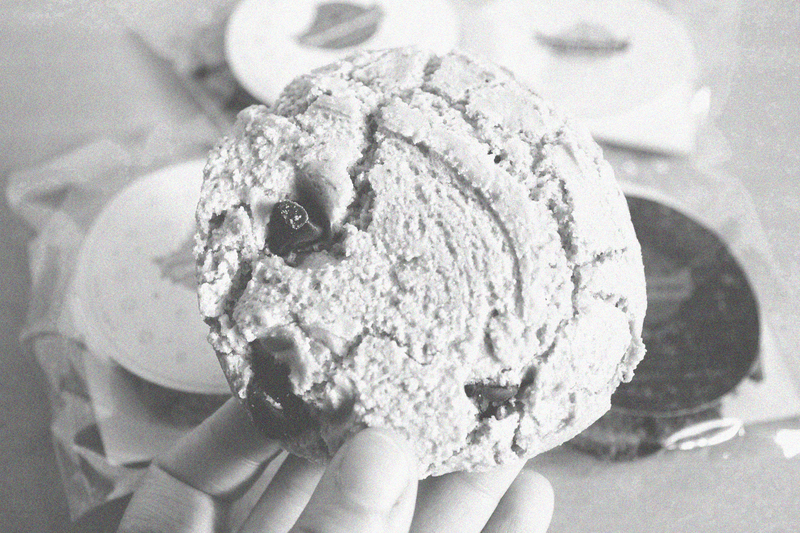 Unless of course, it’s soft on purpose and soft cookies hold a special place in my heart too. Remember, back in the day (in your pre-vegan days) when Chips Ahoy! Chewy Cookies were the best thing ever well these cookies trump those by leaps and bounds and intergalactic space time warps. 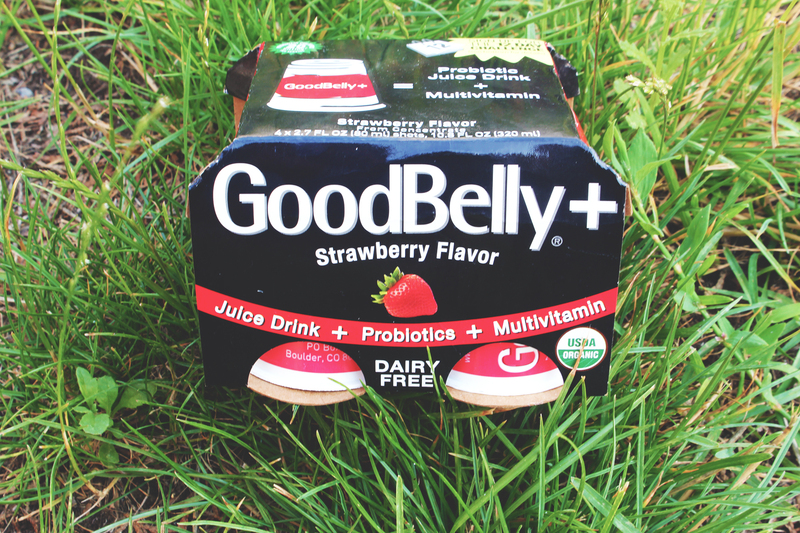 Good Belly: The 12 Day Challenge! While growing up I struggled immensely (and still do at times) with body image, body dysmorphia and disordered eating and my drug of choice was bulimia nervosa. I spent two years of my life struggling with this disease, while doing everything in my power to keep it hidden. It became this crutch of mine that evolved from a superficial look oriented wish for weight loss to an emotional release. When things were chaotic in my life, which they were most of the time, my bulimia would get out of control and anything would set me off into a binging and purging rampage and I felt as if there was nothing I could do to stop it. There were times when a simple apple was all it took to ruin my day and suddenly everything around me became a numbers game. Numbers existed in everything; how many calories I ate that day to the number on the scale and I was sucked into this world of bathroom trips and an overwhelming sense of not being good enough. Eating disorders will take over your life and every waking moment revolves around the disease and I am so grateful to be in a better place now. I am not in any way a 100% better because having been affected by such a disease it will live with you every day and every day becomes a work in progress. I have been blessed with a renewed vision and perspective that has given me the amazing chance to start over again and look at life through a new and positive lens. I do struggle at times because I wish to lose weight but through this new look at life I have found that there is no need for numbers or scales but to judge how I feel through my health and not through looks. I no longer want to lose weight to look better but to FEEL BETTER. To get the point and my love of probiotics, one of the affects of having disordered eating is a slowed down and all around messed up digestive system. When I started to eat real food again and basically get back to eating a normal balanced diet my stomach went crazy and every time I ate I ended up with these horrible stomach pains. It got so bad that I barely wanted to eat at all and I was living on just one meal a day because I didn’t want to deal with those pains and issues more than once a day, if at all. I struggled to find an answer to these issues and I spent countless days googling digestive disorders and ways to alleviate these symptoms and the best answer for me was probiotics. 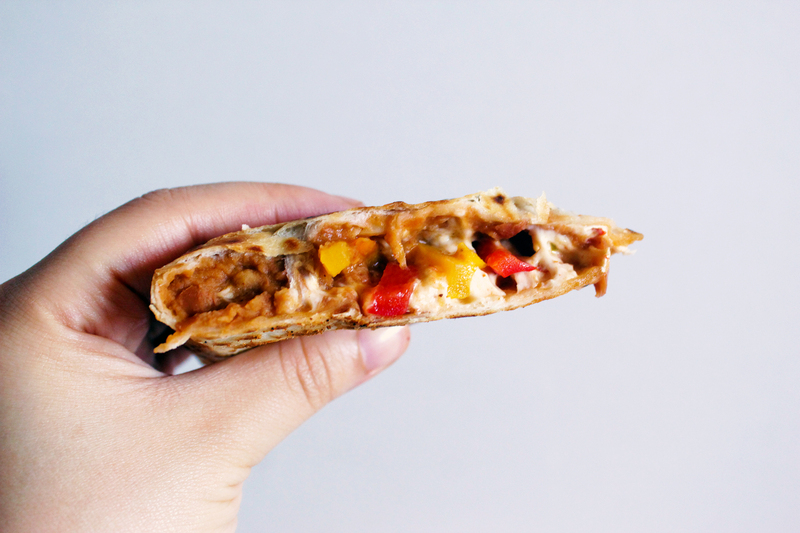 Vegan Quesadilla w/ Pinto beans & Pepper jack Cheese from Daiya! 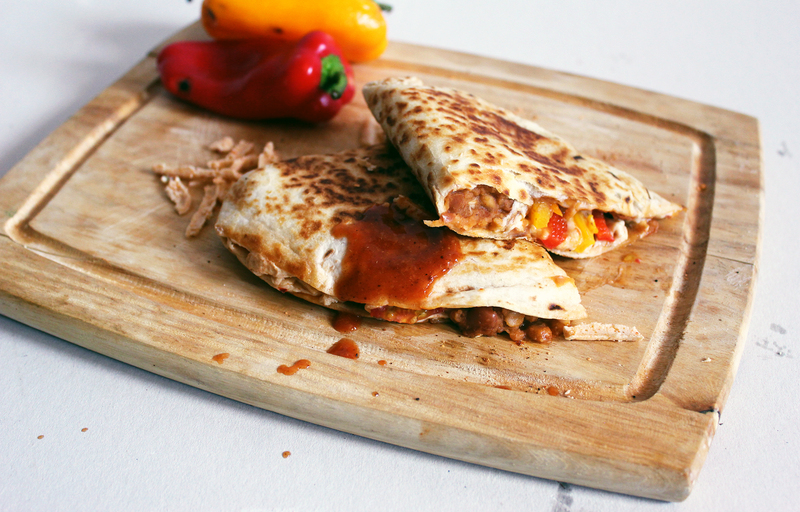 The pepper jack cheese from Daiya sounded perfect for this yummy vegan quesadilla with pinto beans! 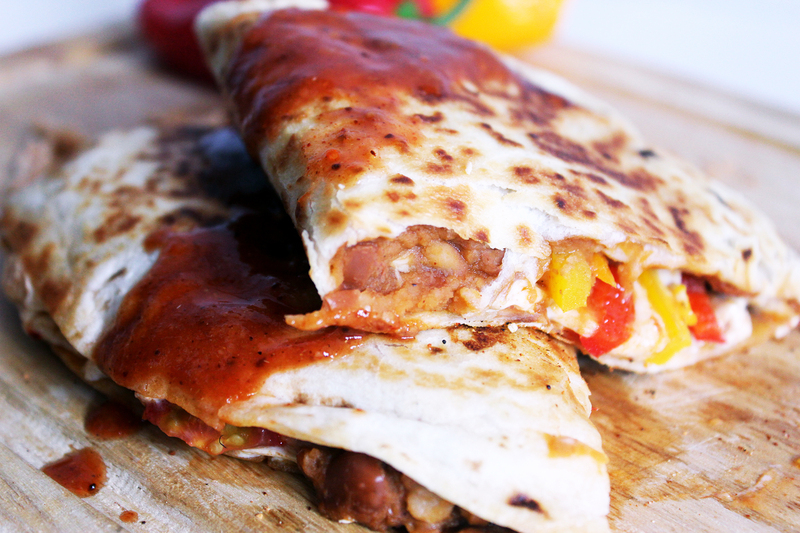 It’s stuffed with the beans, peppers and tomatoes for a fresh twist and topped with a quick and simple salsa! There are SO MANY variations you can do with this like a mixed bean filling or stuffing it with different kinds of veggies and topping it with some fresh guacamole and vegan sour cream! 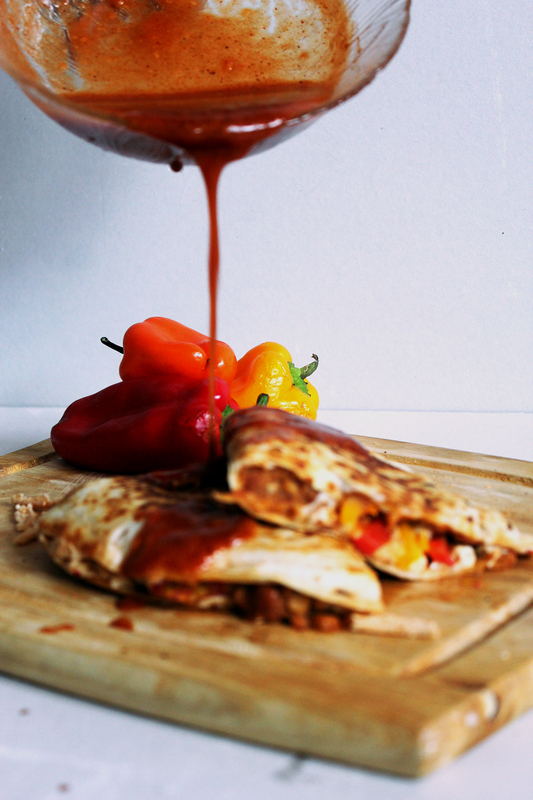 I find that quesadilla or on a more broad note Mexican and Spanish foods are one of those things that you really miss when you go vegan. I swear everyone thinks it is so hard to replicate them but it really isn’t now that there are tons of vegan cheeses out there as well as easy nut based cheeses that actually melt. These are SO QUICK and EASY to make! I pulled these together within a few minutes and the only real waiting part is for the cheese to melt! Isn’t that the best part though?! It does take a bit for it to melt because it isn’t a traditional cheese but that problem is modified with cooking them on low for an extra amount of time so the tortilla doesn’t burn! Definitely try using a bunch of different color variety of peppers because the extra color looks so pretty in this! As you can see from the pictures I stuffed these a little too much because they’re not as thin as regular quesadilla but hey, the more the merrier! Feel free to use a whole wheat or gluten free wrap as well for an even healthier version! Now, the salsa I made with this is not an authentic “omg I am in love” kind of salsa but a very simple one you can make when you don’t have anything else on hand. I actually used the “salsa” as a seasoning for the beans because I hate when you have smashed beans and they’re too dry so I like to add a little liquid while they’re cooking. You can definitely try adding whatever seasonings you like to it to spice it up a bit! 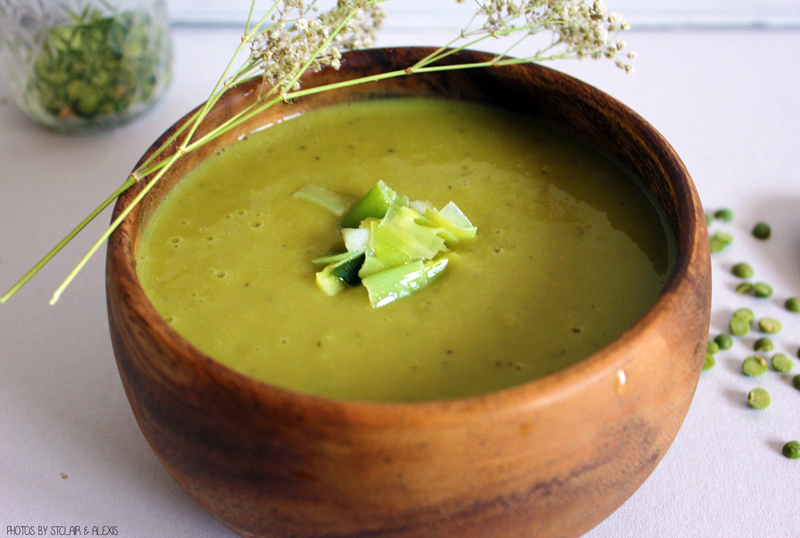 Creamy Leek and Split Pea Soup & Terri Juice Cleanse Experience and Contest! My boyfriend actually came up with this recipe on a whim so I have to give him a little credit for this one haha. Everyone has those moments when there’s nothing to eat and you have to brainstorm a little to figure out what dinner is going to be that day and this was definitely one of those days! We tried this out a couple of times with the potato and without it and I can voucher that it is delicious both ways but it is more creamy with it! 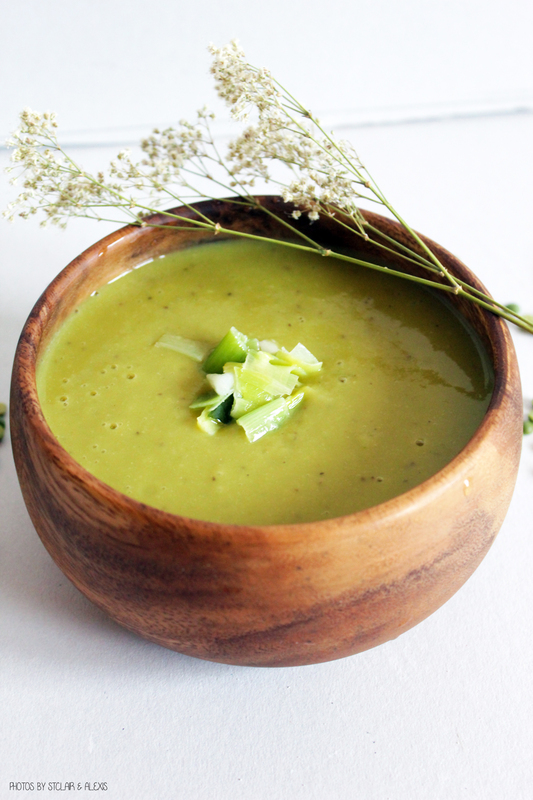 Can you believe this gorgeous soup only has five main ingredients?! 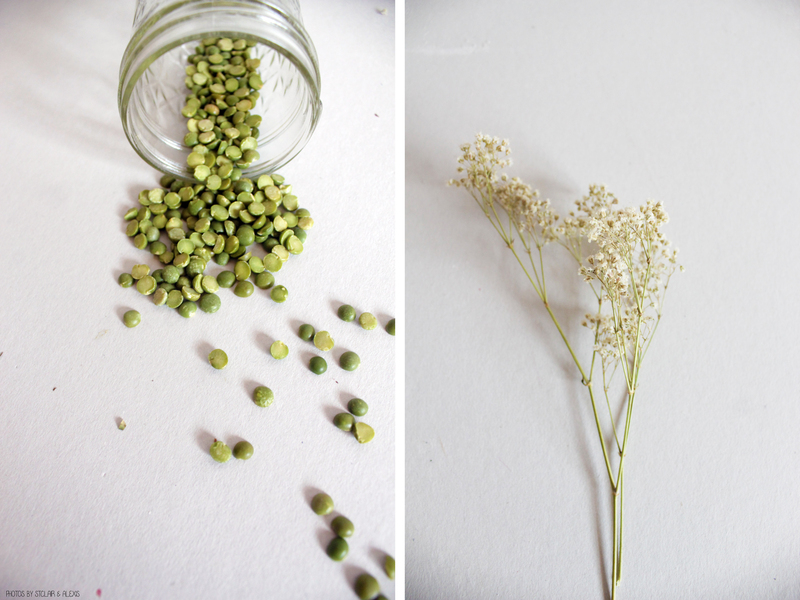 The rest you would most likely find in your cabinet or pantry and remember you can play around the spices to suit your tastes! Don’t ever feel obligated when doing a recipe because the best part is taking that recipe and making it your own! 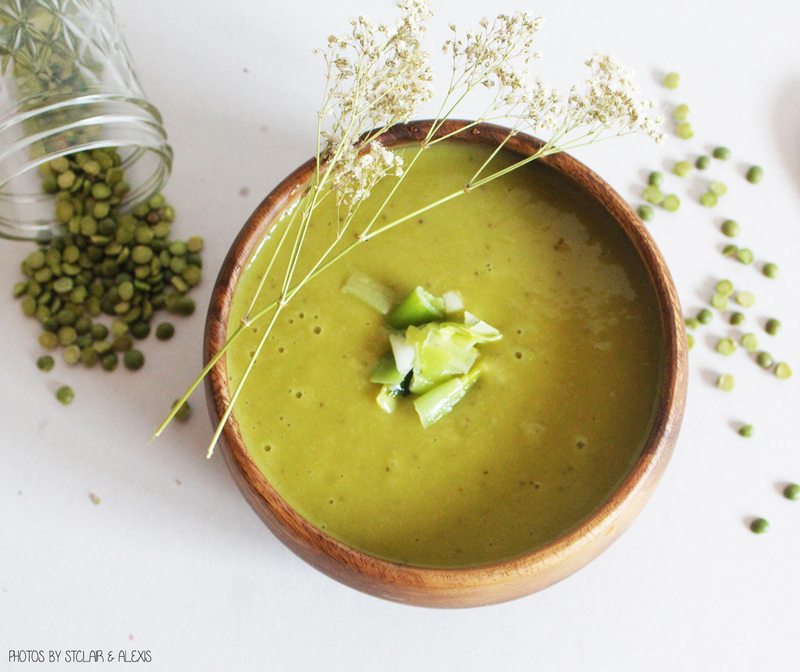 Such a yummy, fast and summery dish! If you follow me on twitter, facebook or instagram, you know I recently did a one day Terri Juice Cleanse and let me tell you; those juices were delicious! The Cashew Milk was the bee’s knees man! 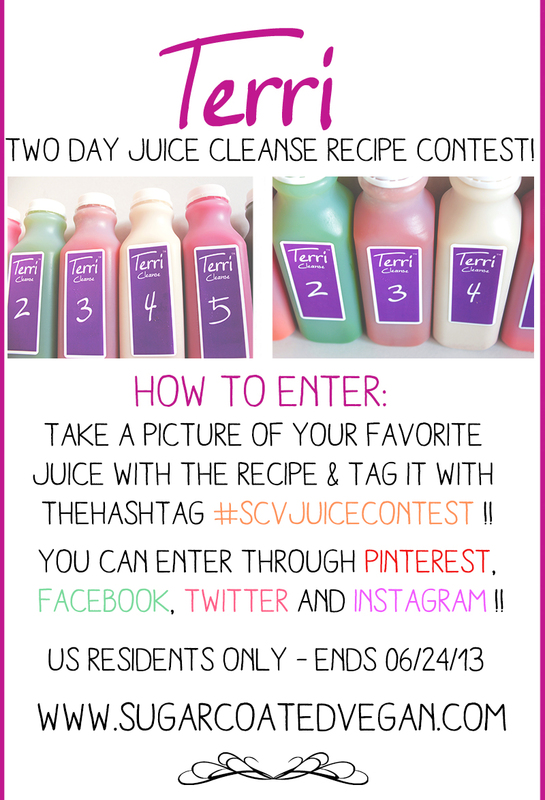 This cleanse features six drinks a day ranging from Strawberry Mint Lemon to of course my favorite Cashew Milk. 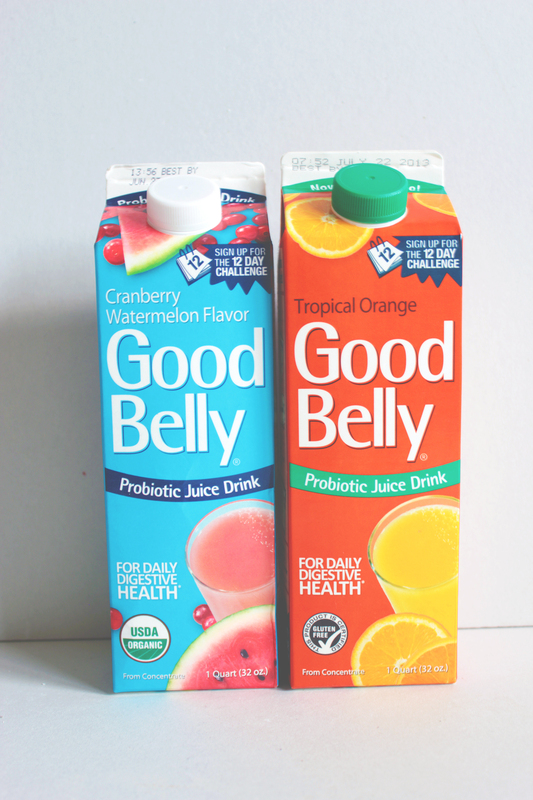 The instructions recommend you sip the juices throughout the day and drink them along with tons of water. I felt amazing after this cleanse but I will admit it got harder throughout the day definitely towards the night but the cashew milk was much appreciated because it provided that extra protein and healthy fats to get me through the night! I would recommend it 100%! The juices were delicious and filling and Sarah, the Cleanse Guru is awesome! One thing I would say is that if you’re new to juice cleanses, I would ease into by only eating fruit and veggies for a couple of days before the cleanse and it will make it SO MUCH EASIER! If you feel super hungry during the cleanse, eat some raw fruit and veggies and won’t mess with the detoxification process to much!